Oh no! You broke your nail! 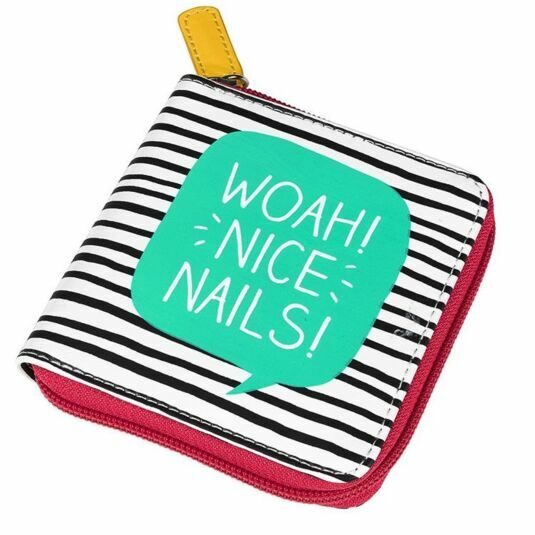 No worries, this manicure set contains everything you may need to make them looking tip top again. 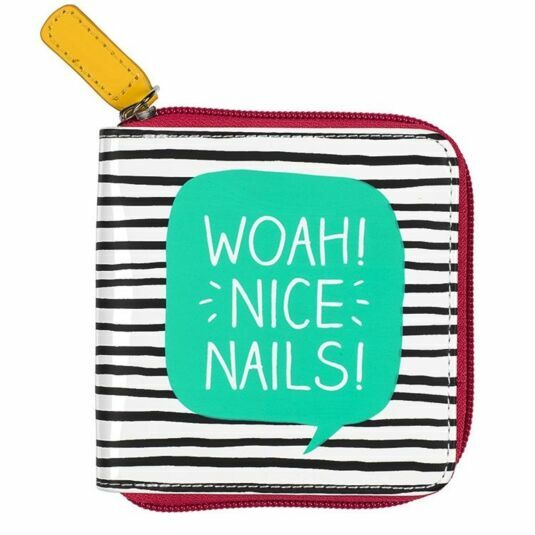 The outside of this Happy Jackson case has a zebra black and white pattern with “WOAH! NICE NAILS!” written on a green speech bubble. 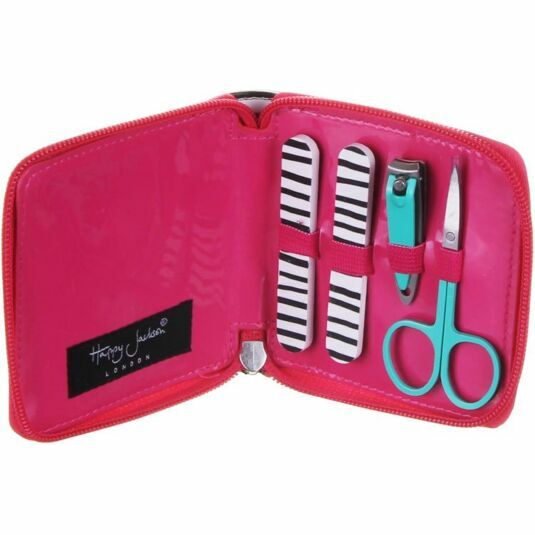 With a bright pink interior, this case has every tool for the job; Nail scissors, clippers and two emery boards.